Santa Rosa Island Authority | Was there ever really a casino on Pensacola Beach? We’ve all questioned it. Why is the main public beach on Pensacola Beach called Casino Beach? Tell someone who’s never been to Pensacola to head to Casino Beach for the day, and inevitably you’ll get a response asking where the casino actually is. Followed by the question of why it’s called Casino Beach if there is no casino. So why is our beach’s most popular destination called Casino Beach? 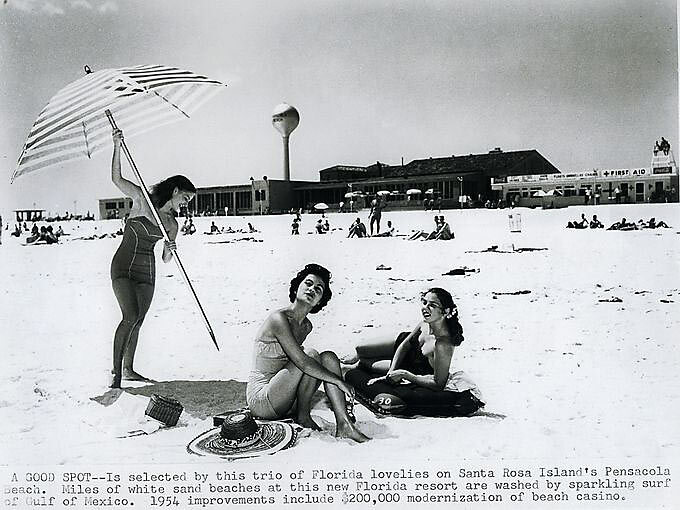 Was there ever really a casino on Pensacola Beach? The answer is, yes, and no. Yes, there was a casino. But not a casino in the typical sense that you picture it: with slot machines and card games and roulette tables. It was more like an activity center mixed with a resort. 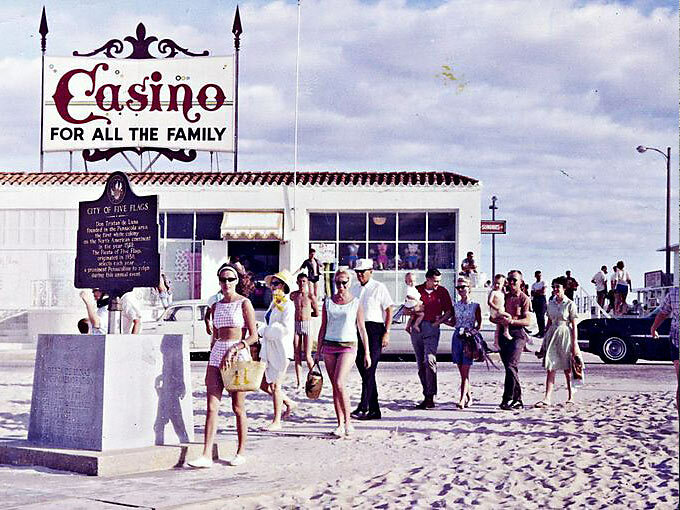 For decades “The Casino” was a very popular destination for tourists and locals alike because it was the first attraction on Santa Rosa Island accessible by car. The Casino was built in 1931 by the Pensacola Bridge Corporation. At that same time, the bridge company was finishing up construction on the Pensacola Bay Bridge – the first bridge to span the three miles of Pensacola Bay between Pensacola and Gulf Breeze – as well as the Santa Rosa Sound Bridge, the first bridge onto Pensacola Beach from Gulf Breeze. 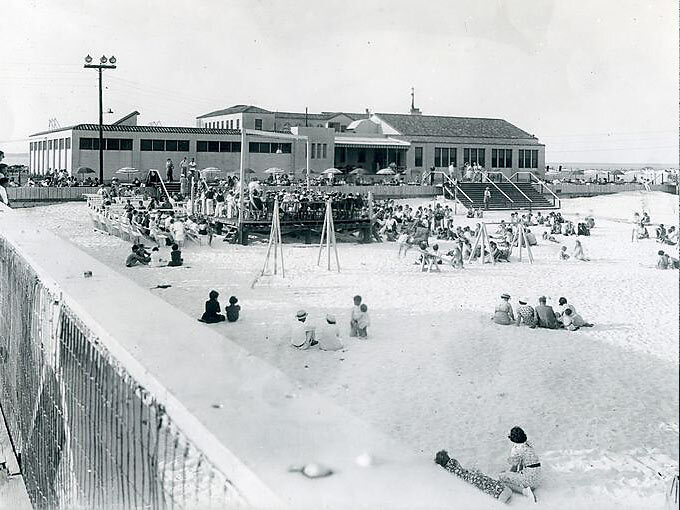 On the morning of June 13, 1931, the Pensacola Beach Casino opened alongside the two bridges connecting downtown Pensacola to the beach. The city held a lavish two-day-long ceremony that included a banquet, parade and day-long carnival as well as boxing matches, fireworks, boat races, armory displays and dancing. 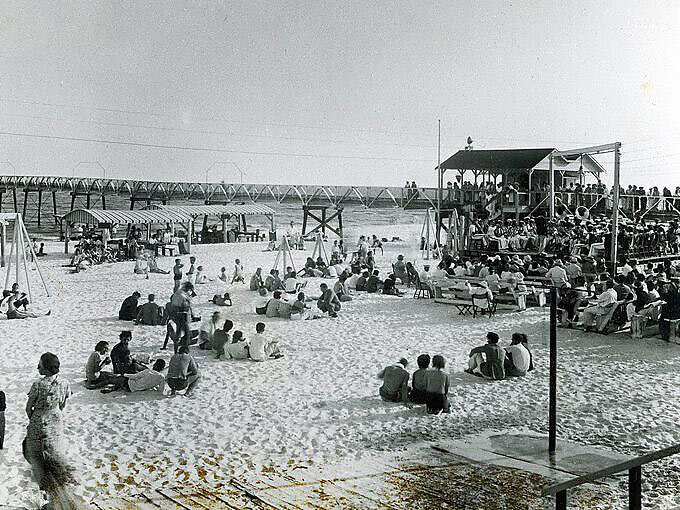 As you can imagine, this was a game changer for the city of Pensacola and many of its residents – as the beach was now accessible by car. 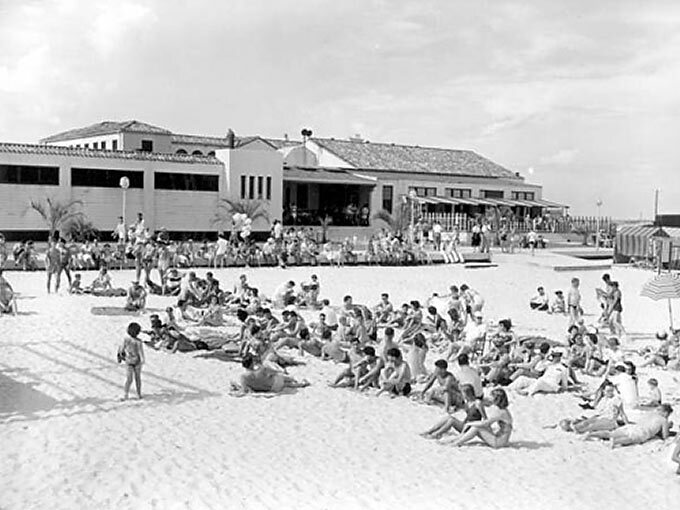 For the first time in the city’s history, the beach was now a destination attraction – for locals and tourists alike. 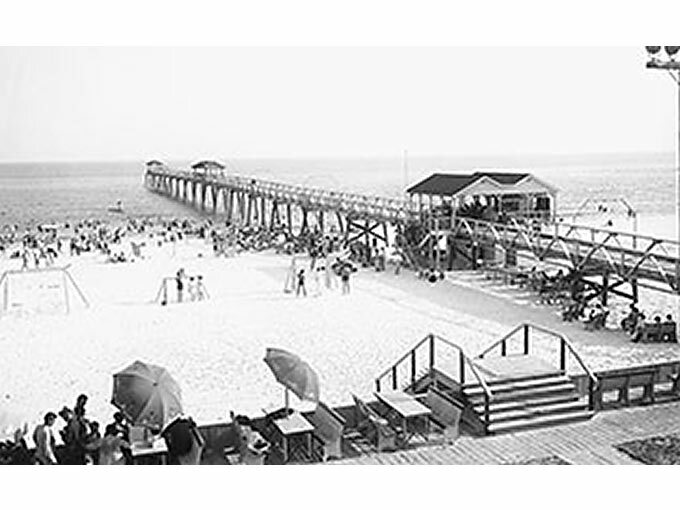 The Casino itself featured a dance pavilion, bath houses, shops, a restaurant, and a 1,200-foot-long fishing pier. 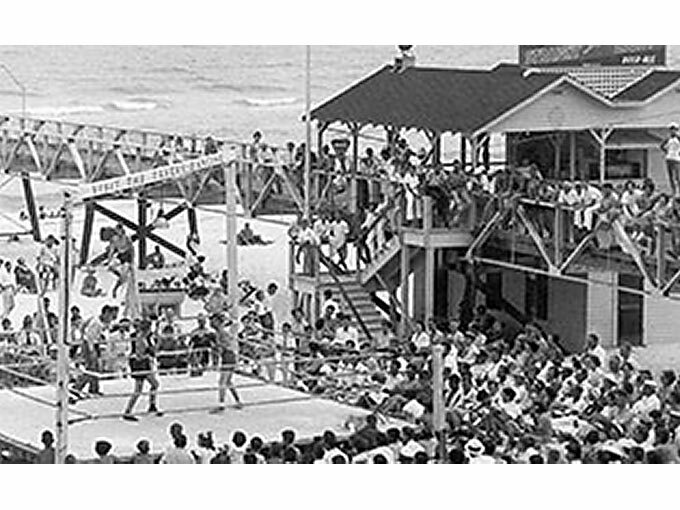 Boxing matches were held weekly. 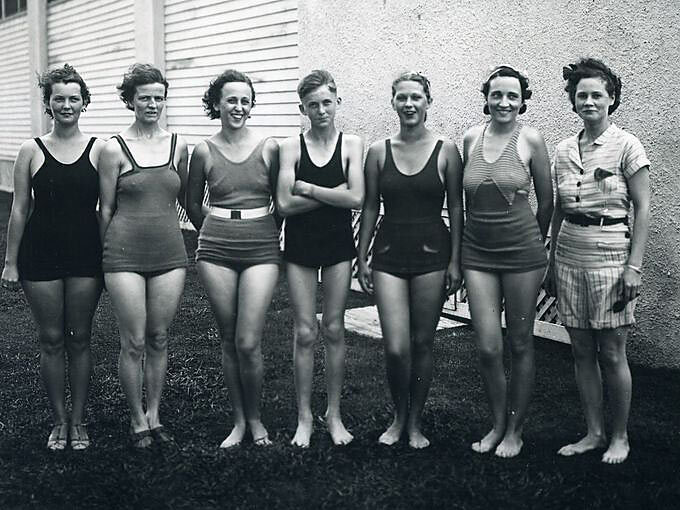 The Miss Florida Beauty Pageant was even held there. The Casino remained a major tourist attraction through World War II, and was renovated and upgraded several times over the years. However, like many beacons of the past, The Casino began falling into disrepair in the late 60s and was demolished in 1972. 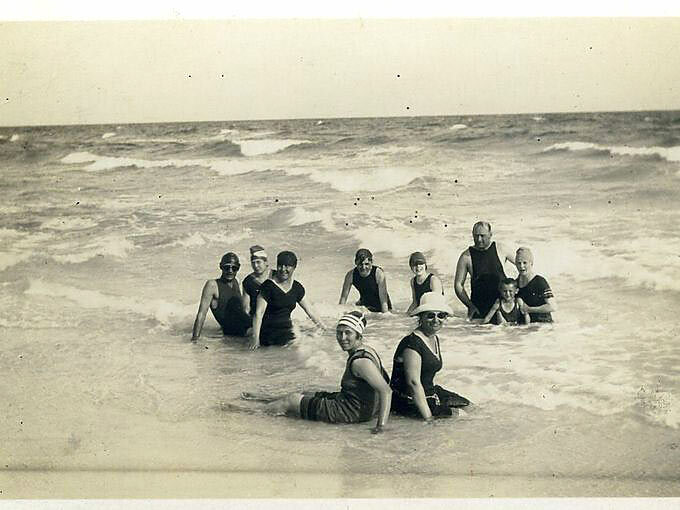 To this day, the name is still in use, designating the most popular spot on Pensacola Beach for soaking up sunshine, splashing in the waves and enjoying good times with friends and family.